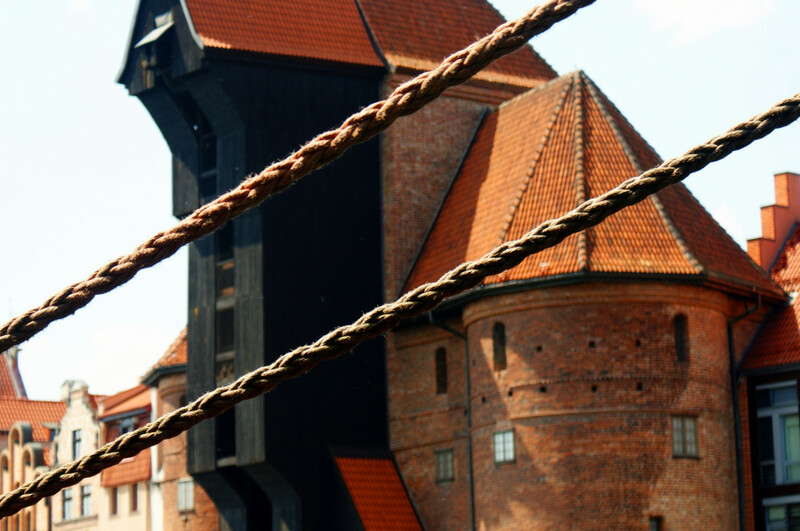 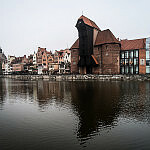 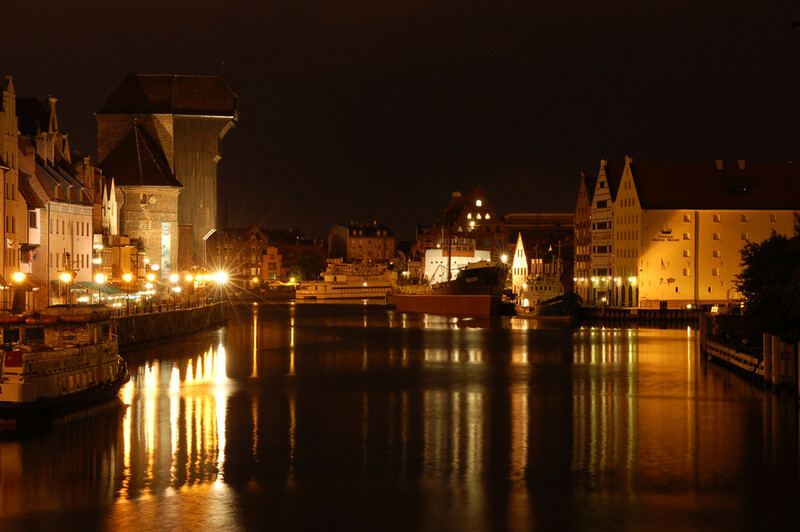 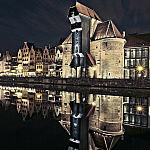 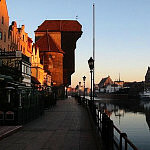 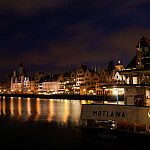 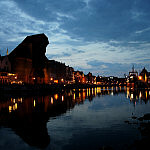 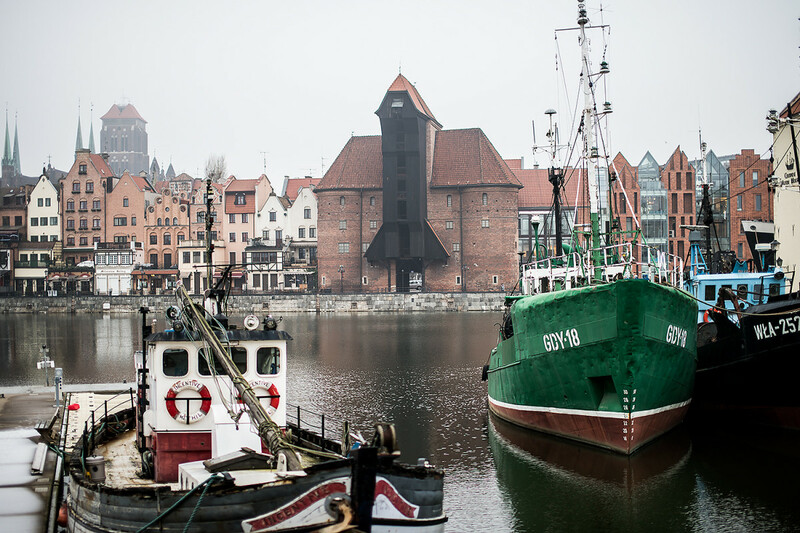 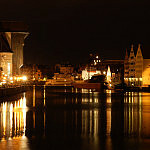 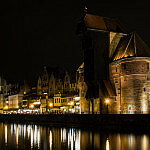 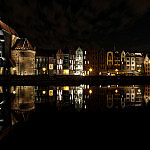 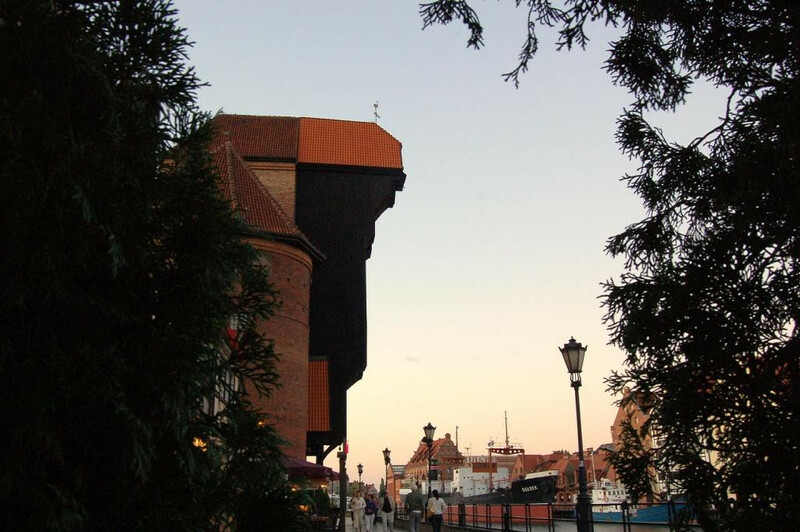 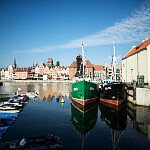 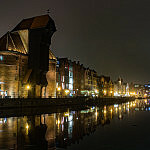 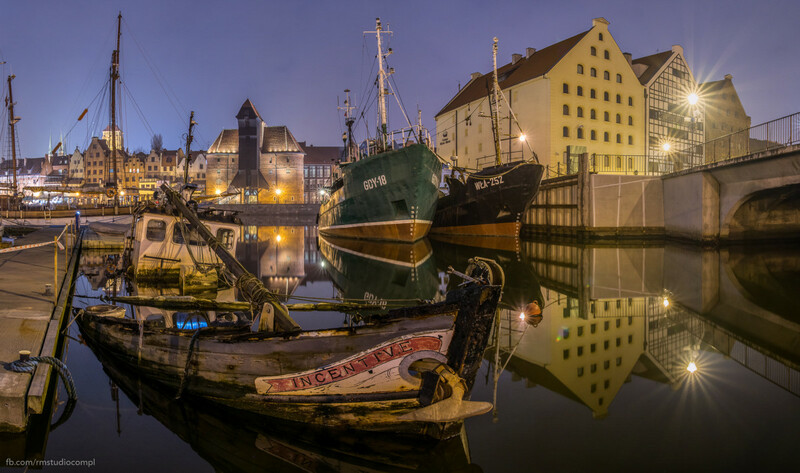 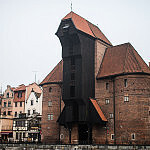 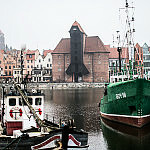 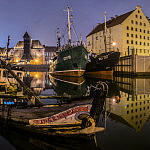 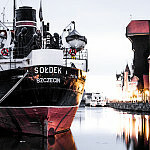 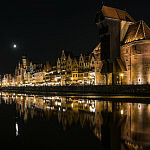 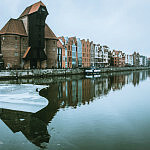 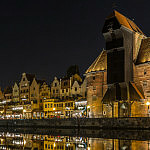 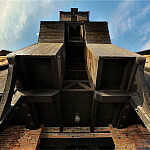 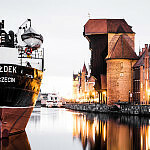 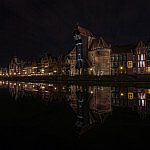 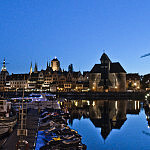 The Crane is the oldest preserved portal hoisting system in Europe.In June 2002 an exhibition was held inside the wheel: 'Gdansk from the 16th to the 18th century - the life of a port town'. 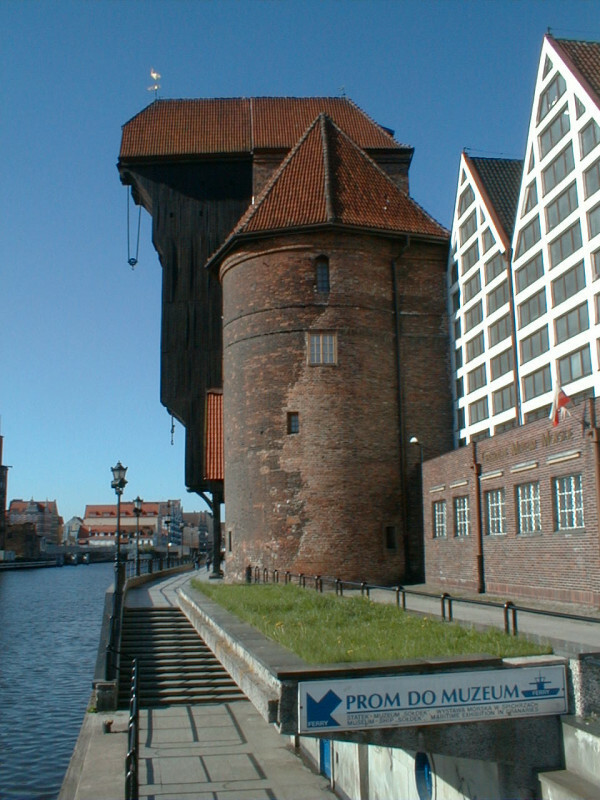 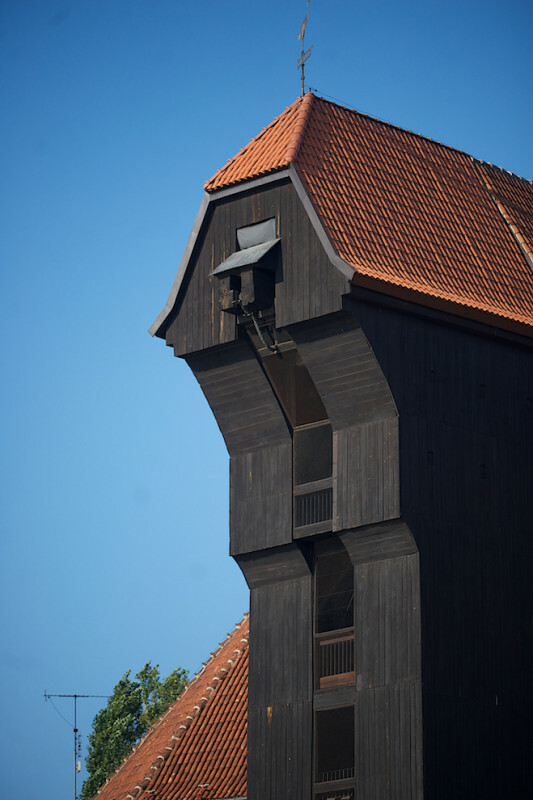 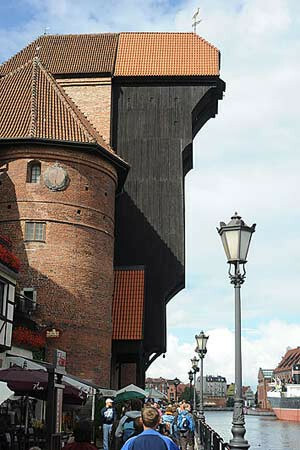 The Crane is the oldest preserved portal hoisting system in Europe. 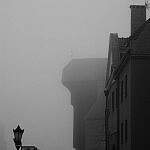 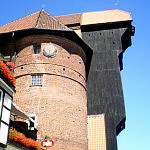 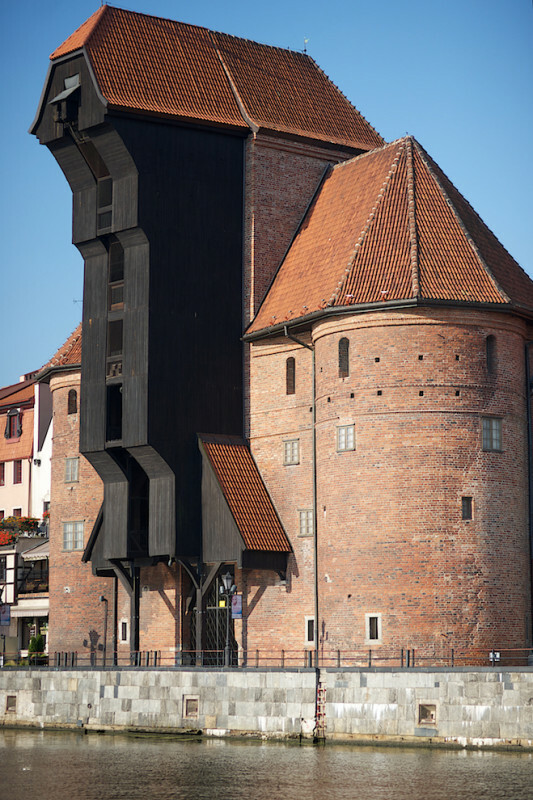 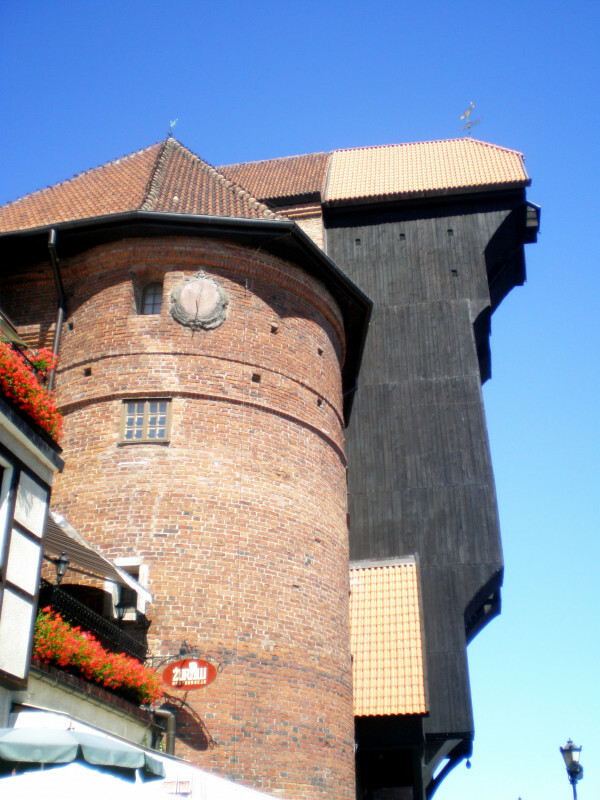 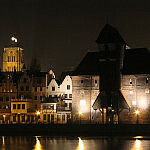 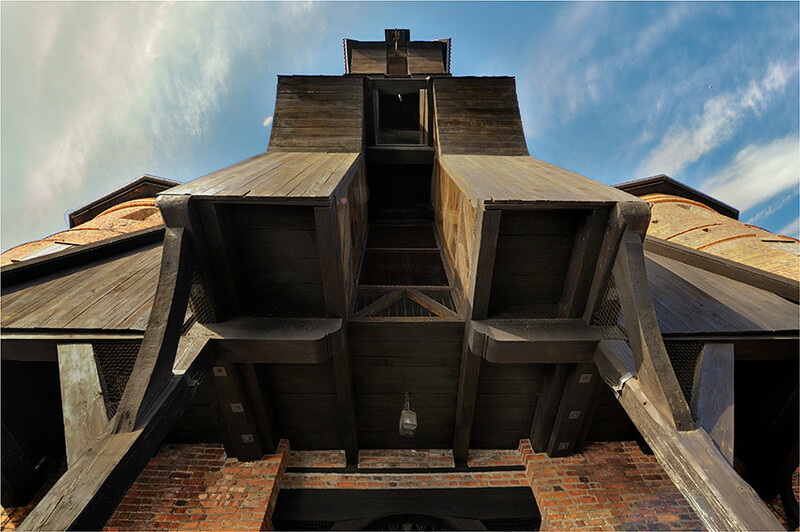 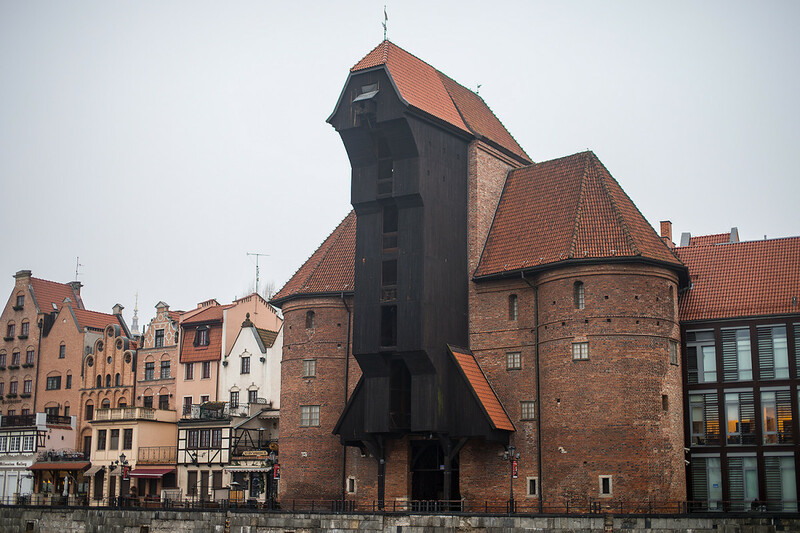 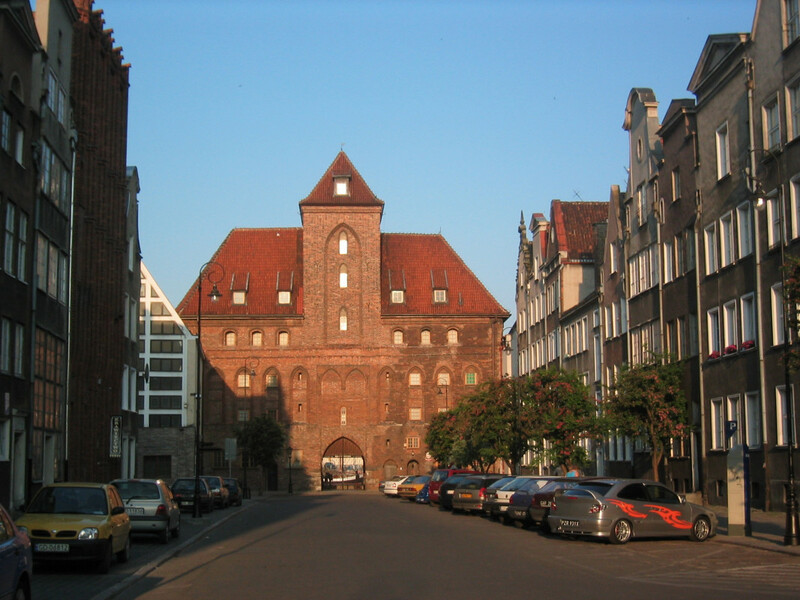 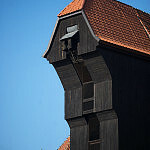 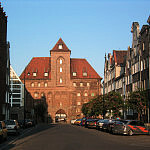 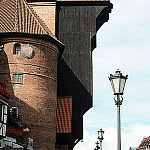 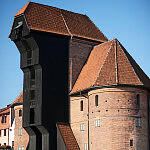 It was built in 1442-4 in the form of two brick towers with a wooden pulley system placed between them. 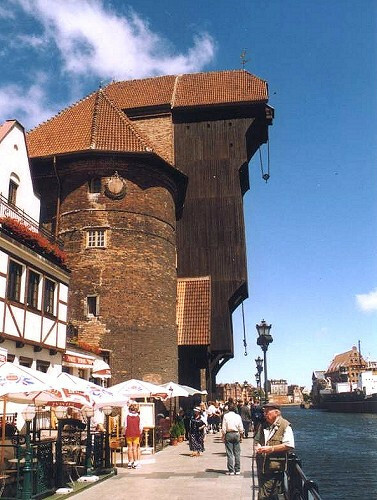 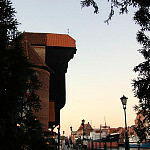 It had a triple function: a cargo hoist, defensive fortification and a city gate. 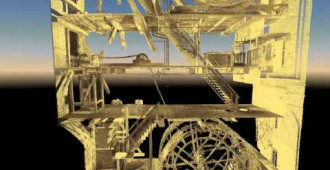 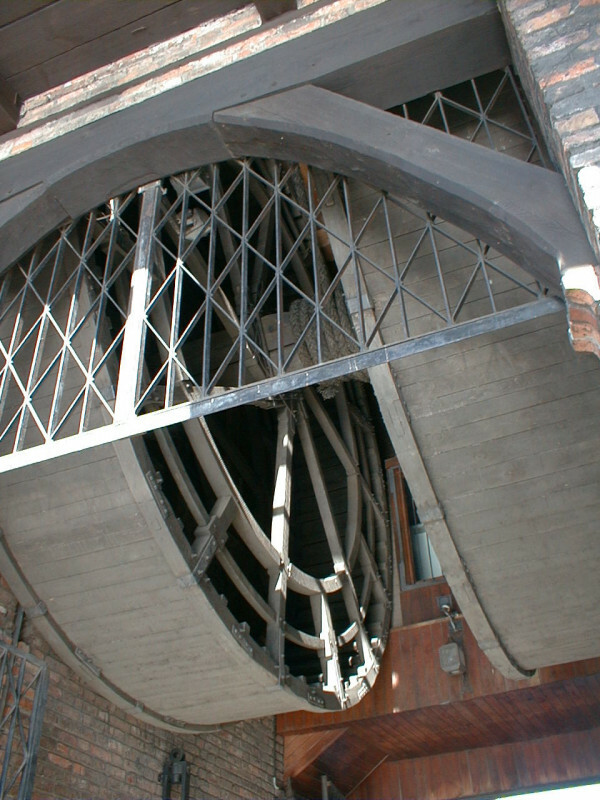 The hoisting mechanism of the Crane, initially using one wheel, was progressively modified to its present two pairs of treading wheels. 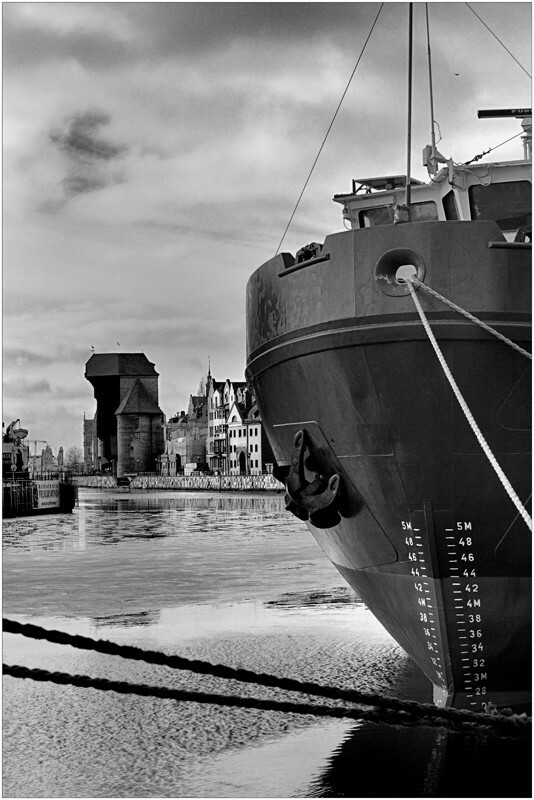 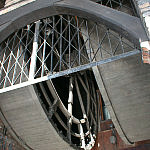 The lower pair of wheels performed the task of loading the cargo, while the upper pair hoisted up the ship's mast. 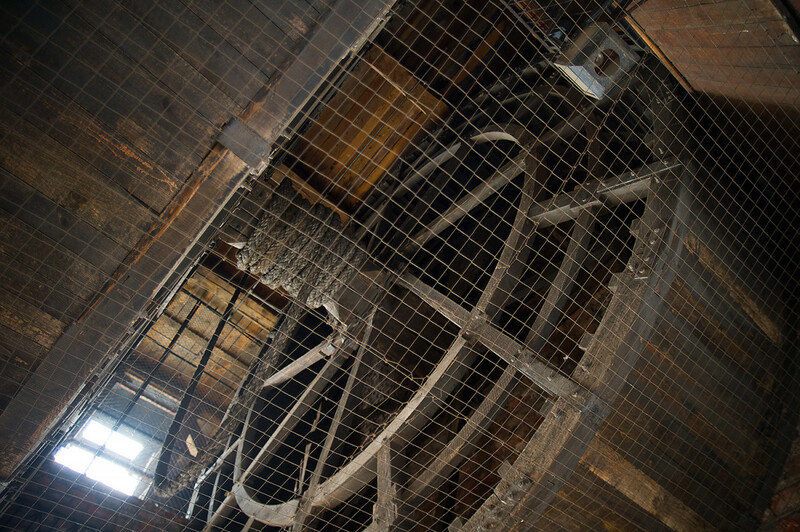 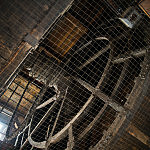 The wheels were set in motion by workers walking inside the wheel. 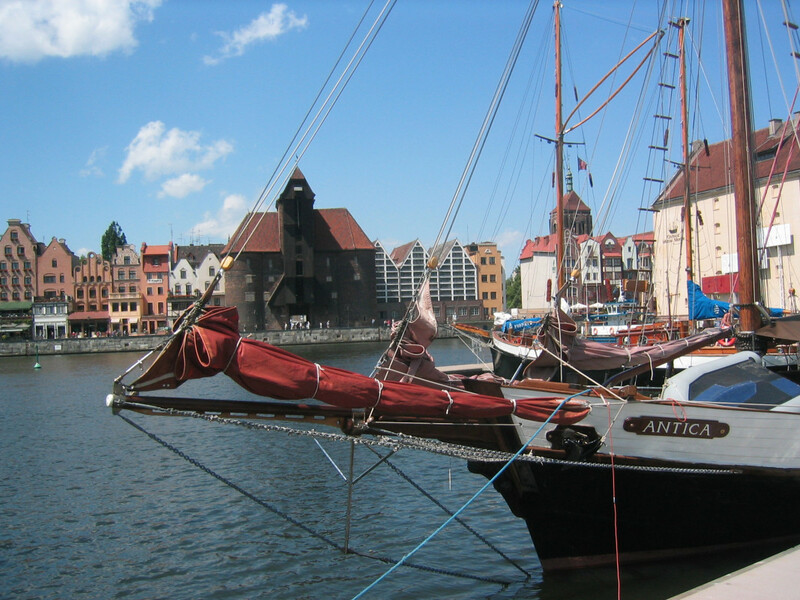 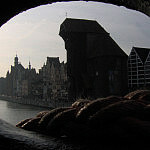 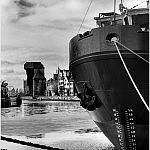 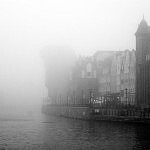 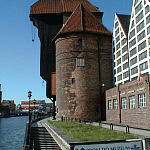 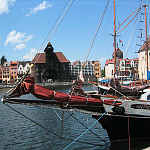 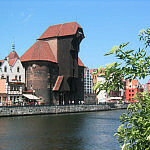 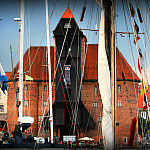 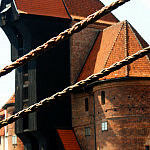 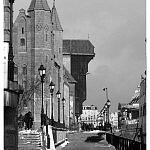 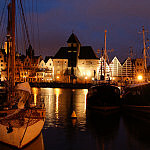 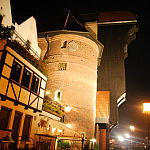 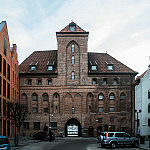 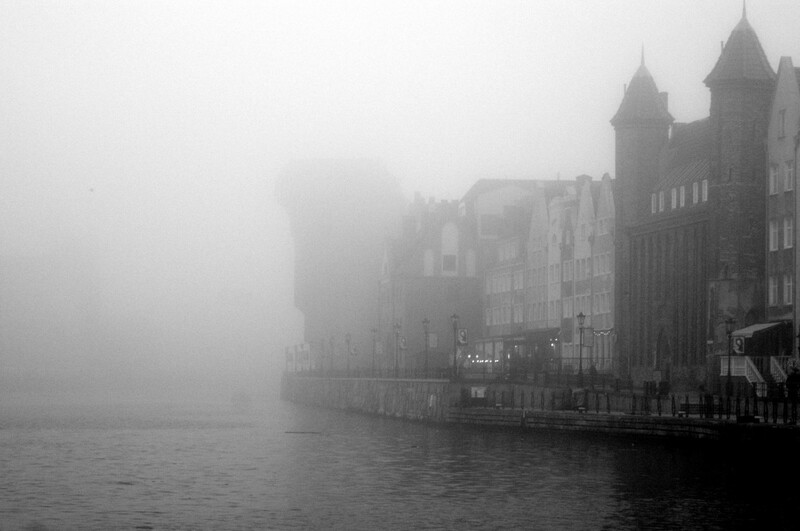 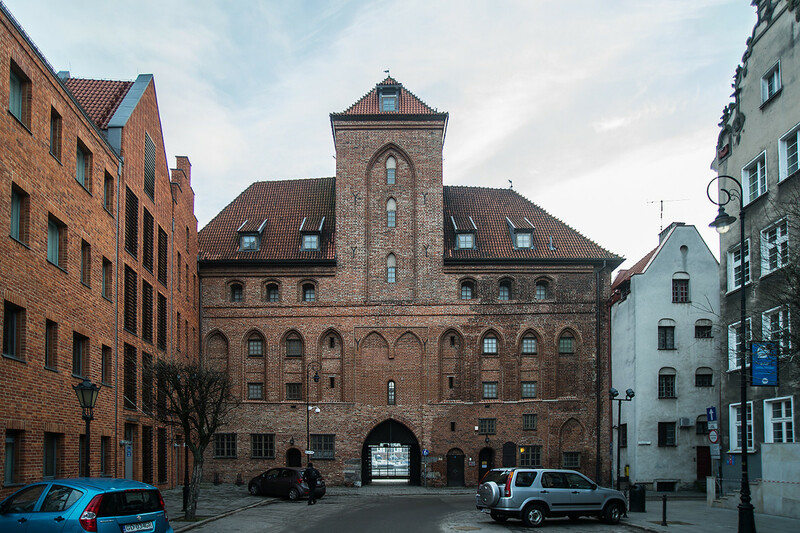 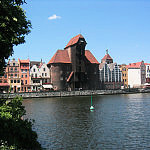 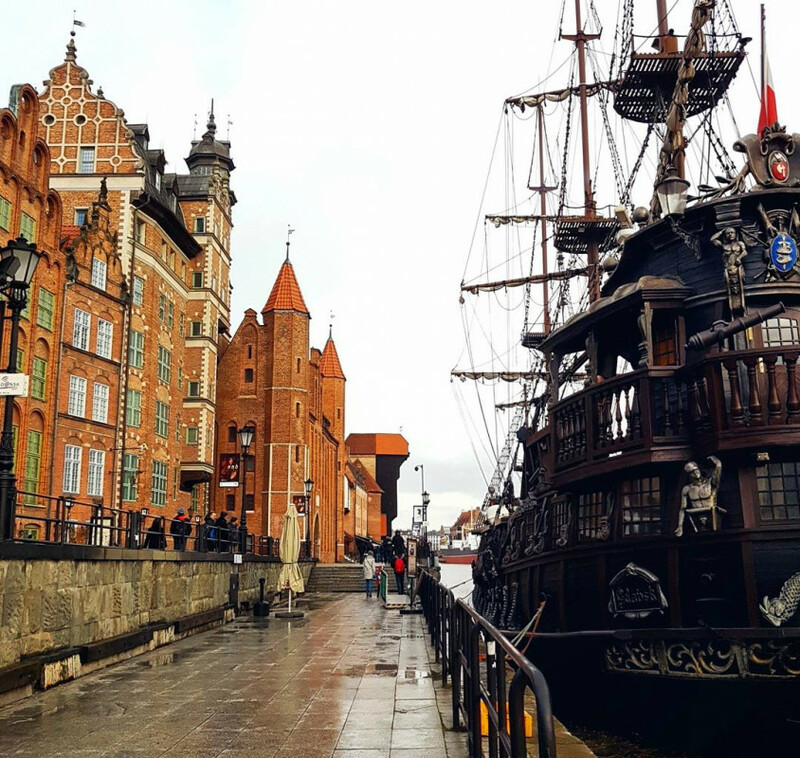 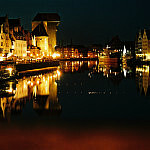 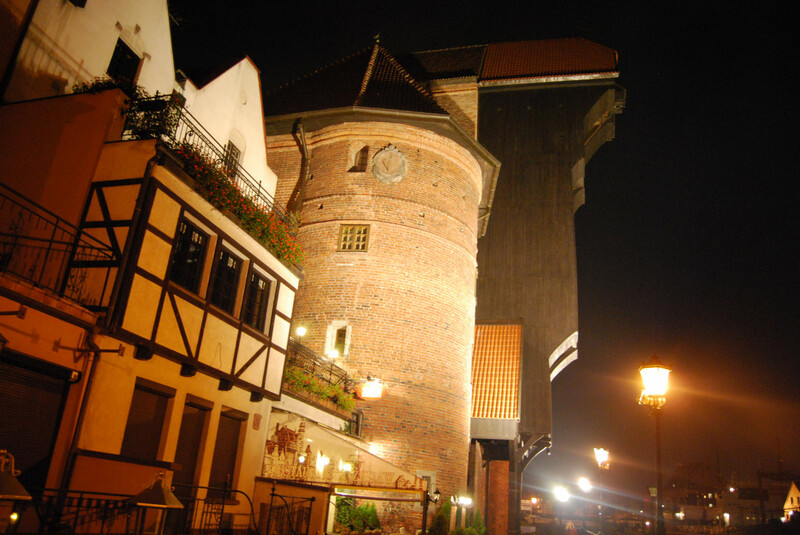 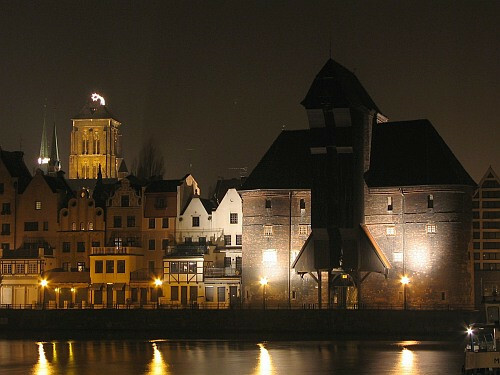 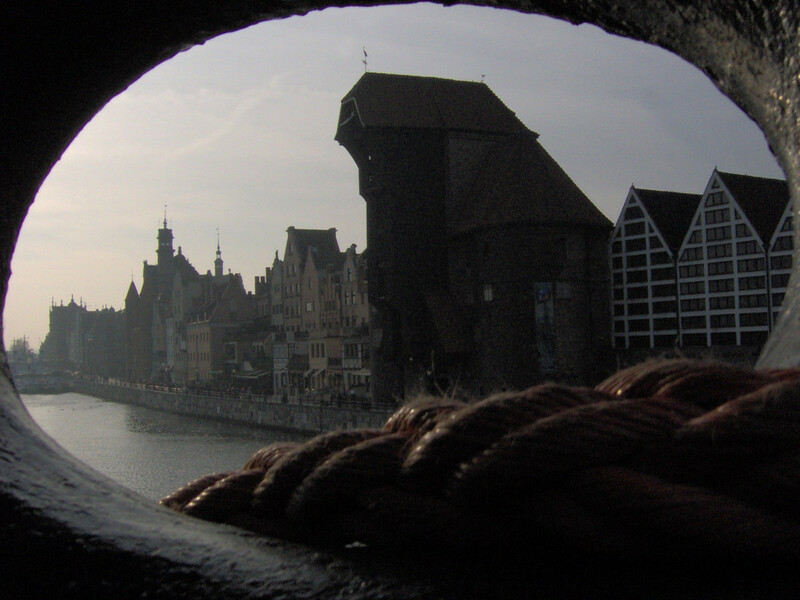 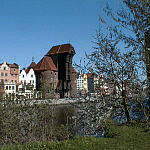 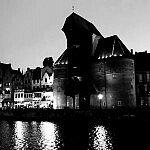 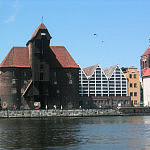 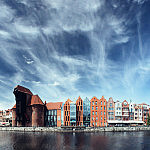 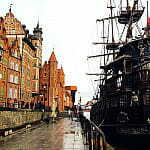 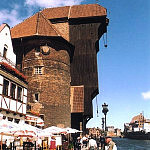 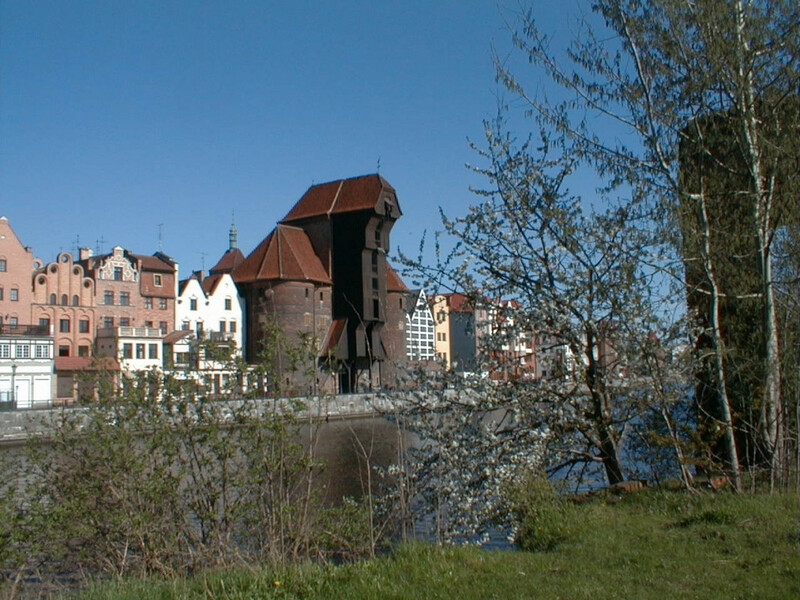 In June 2002 an exhibition was held inside the wheel: 'Gdansk from the 16th to the 18th century - the life of a port town'. 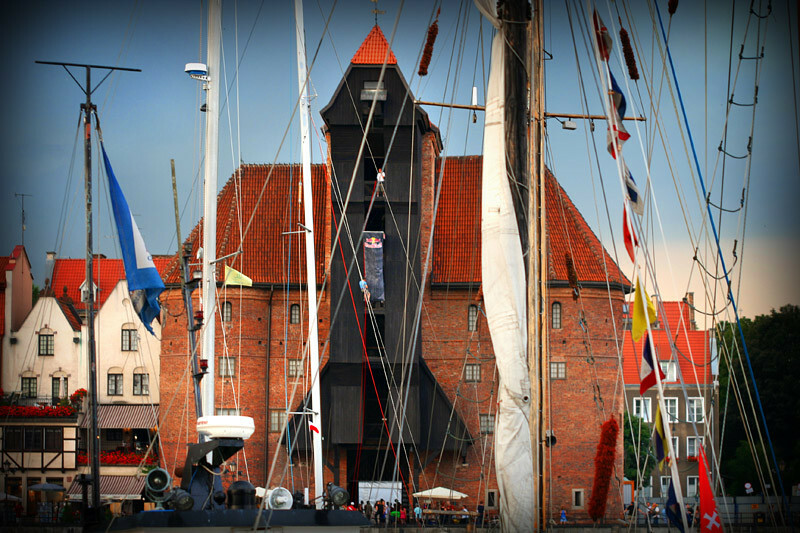 The next parts of the exhibition were: 'Navigation in the old port of Gdansk', 'Loading Techniques', 'The buyer's counter', 'A room in a bourgouis home', 'Fight to the Finish' as well as 'The Art of Boat-Building'. 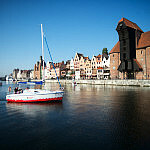 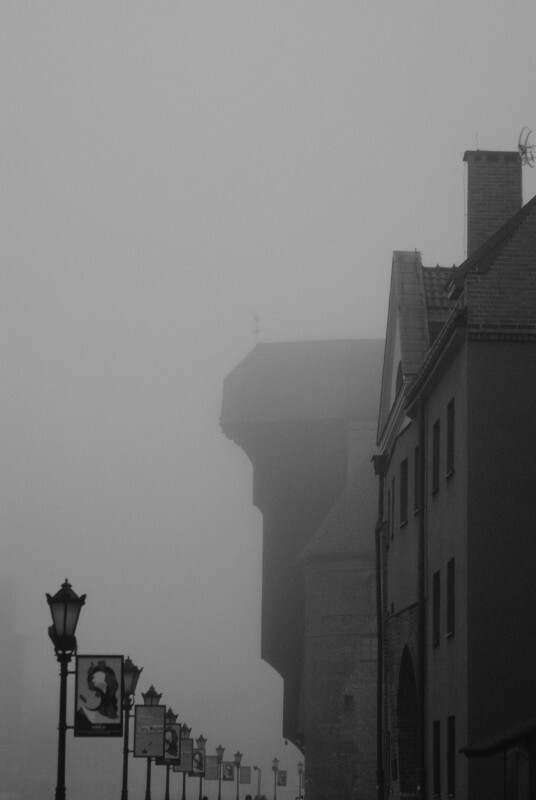 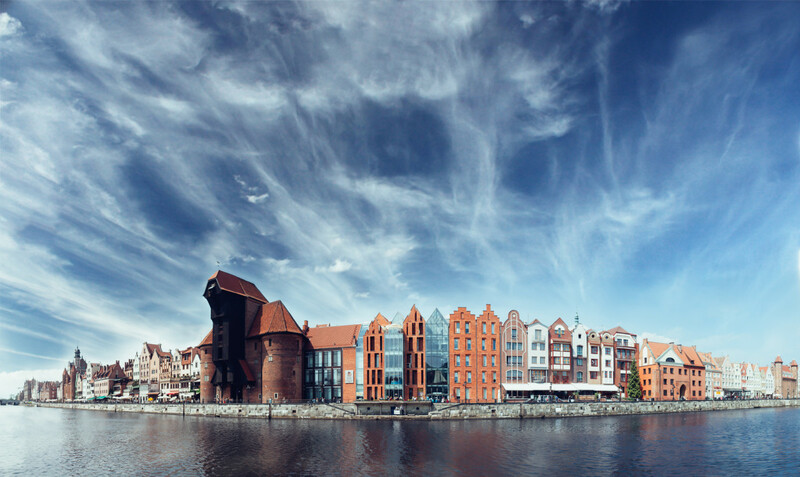 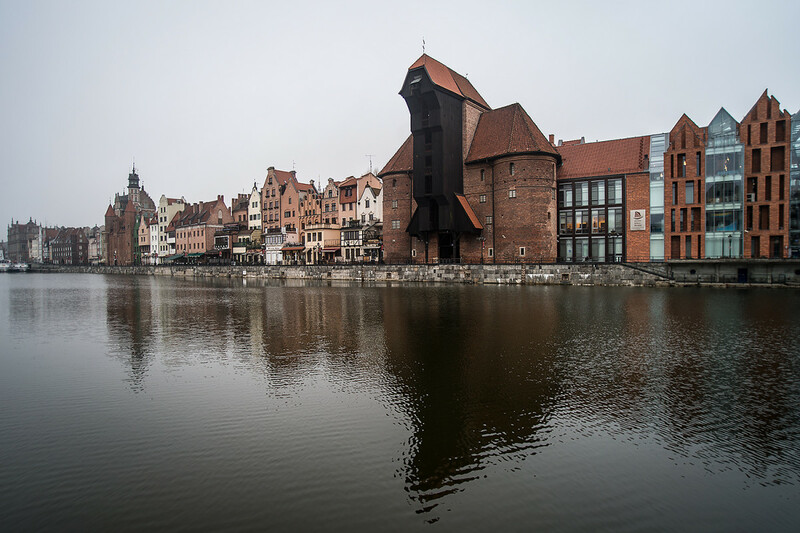 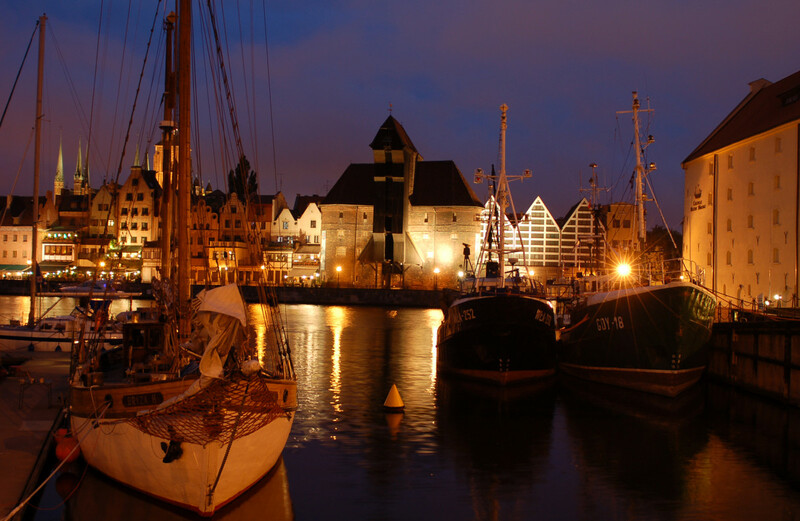 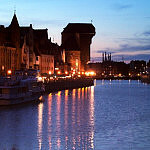 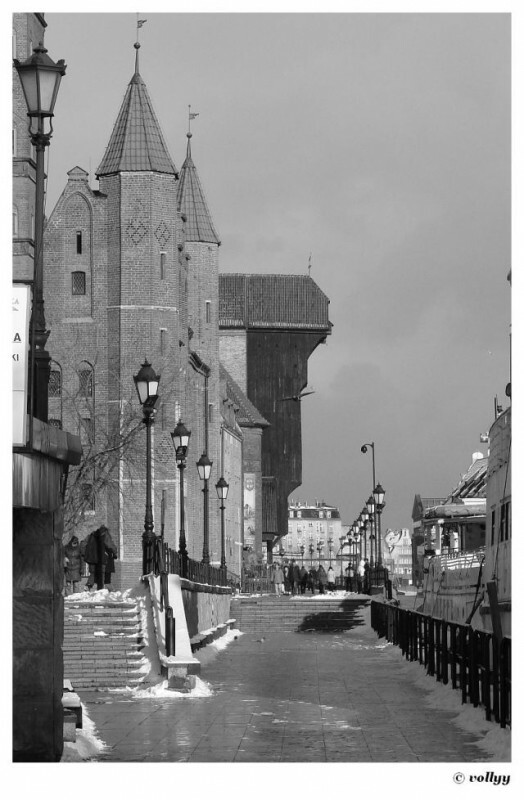 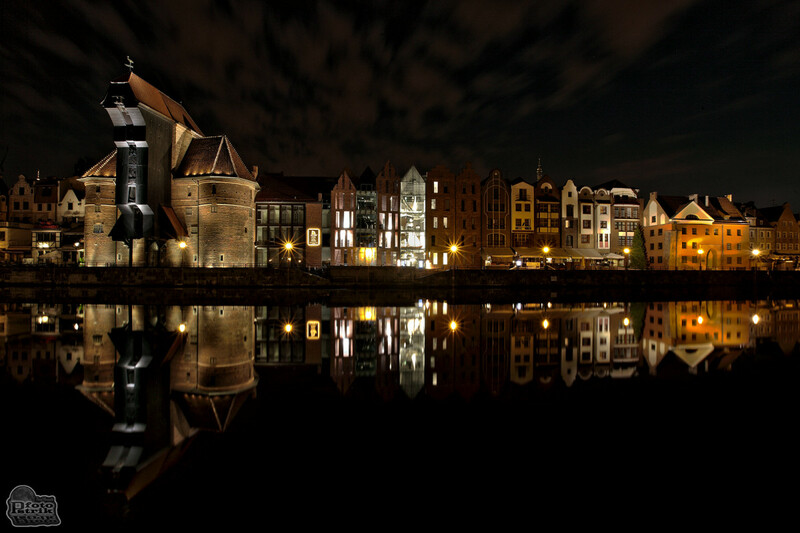 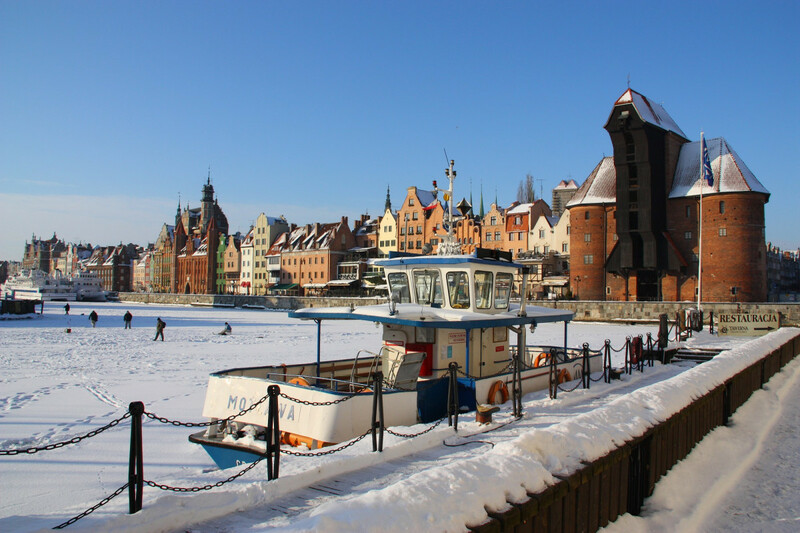 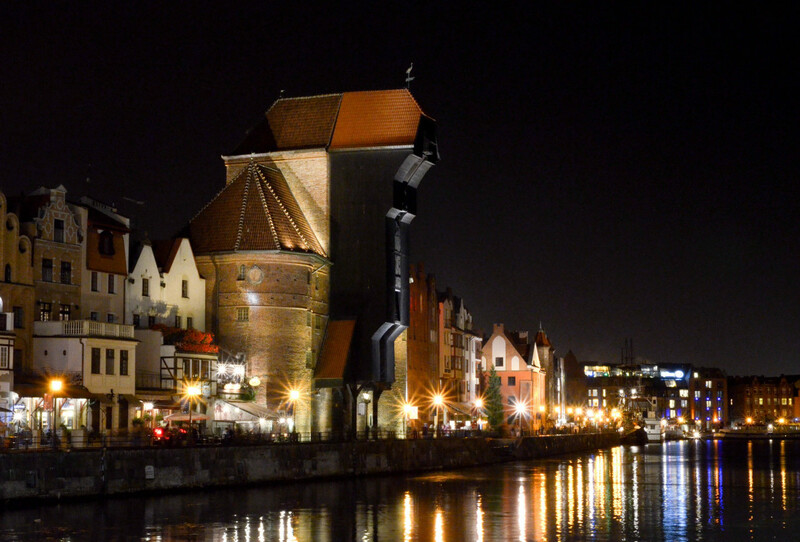 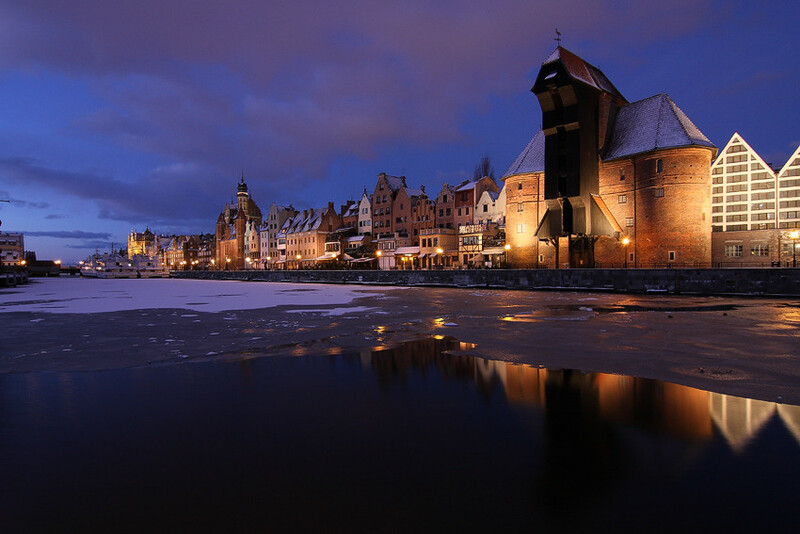 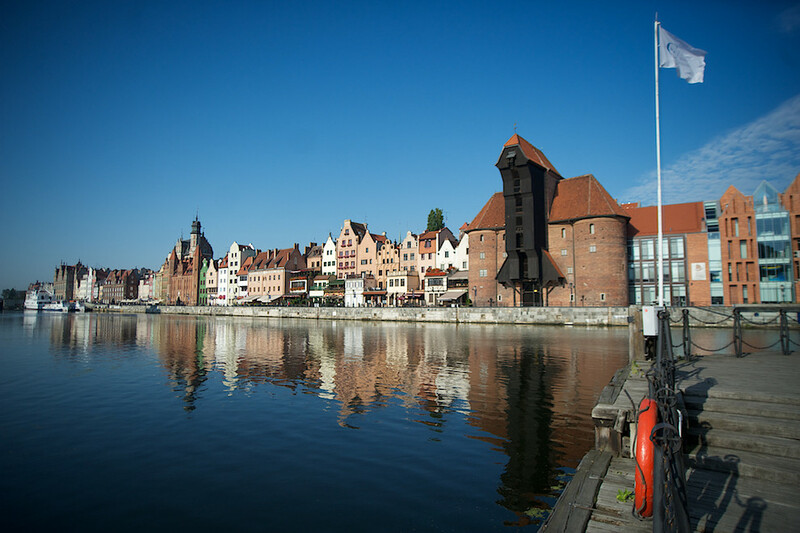 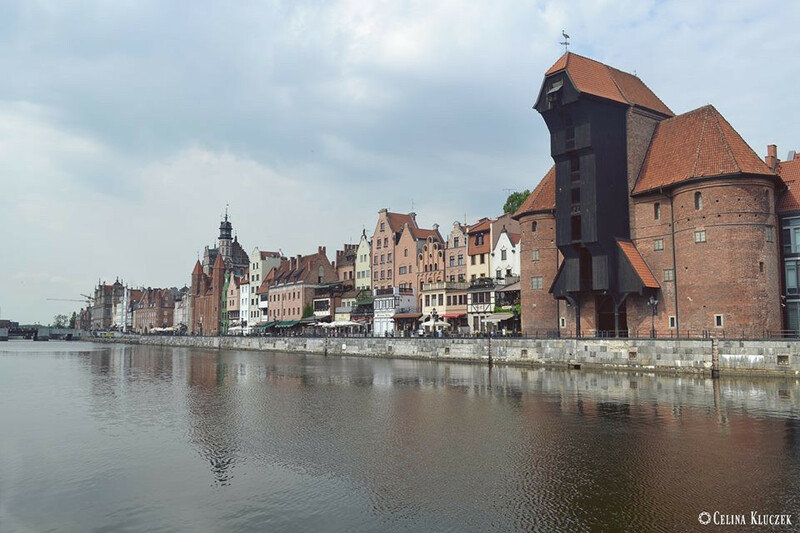 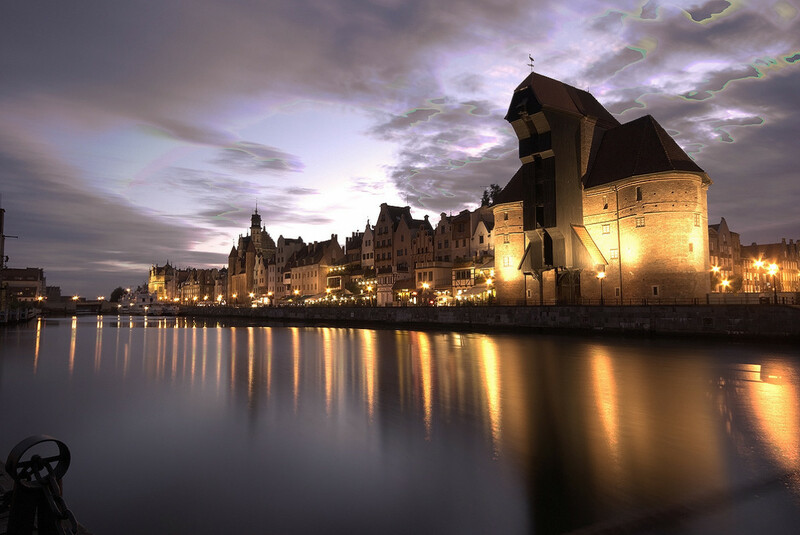 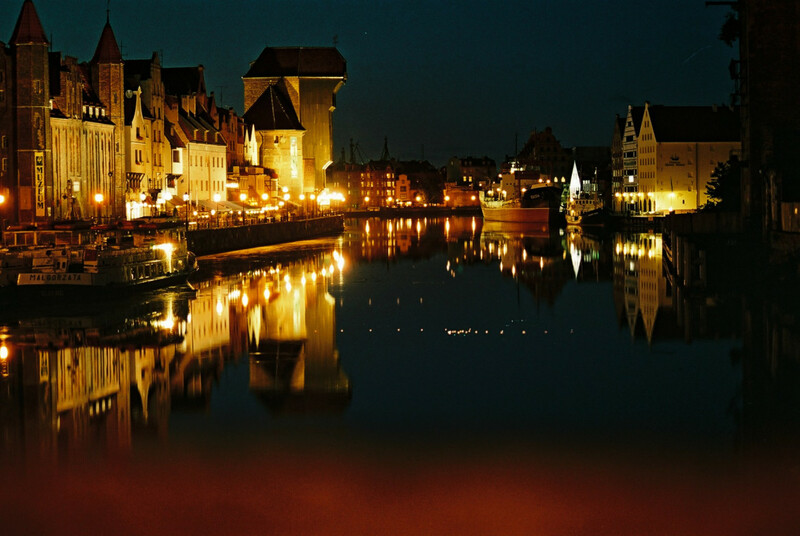 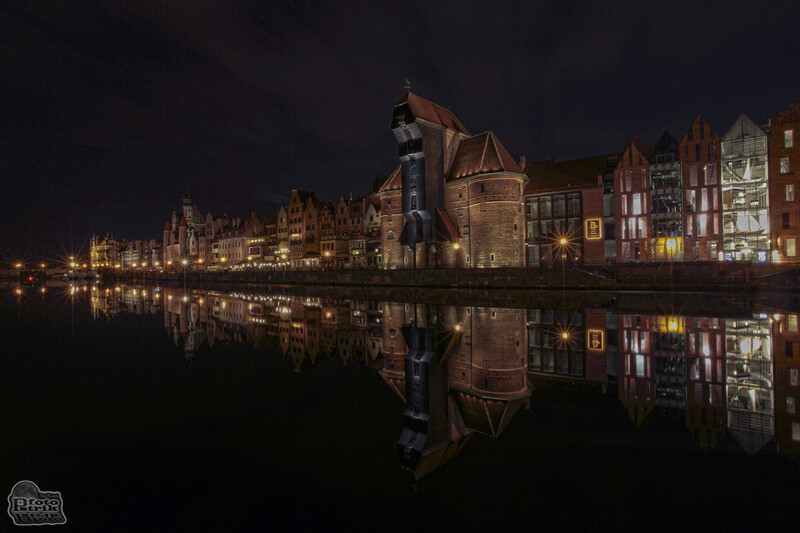 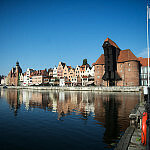 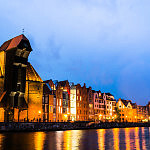 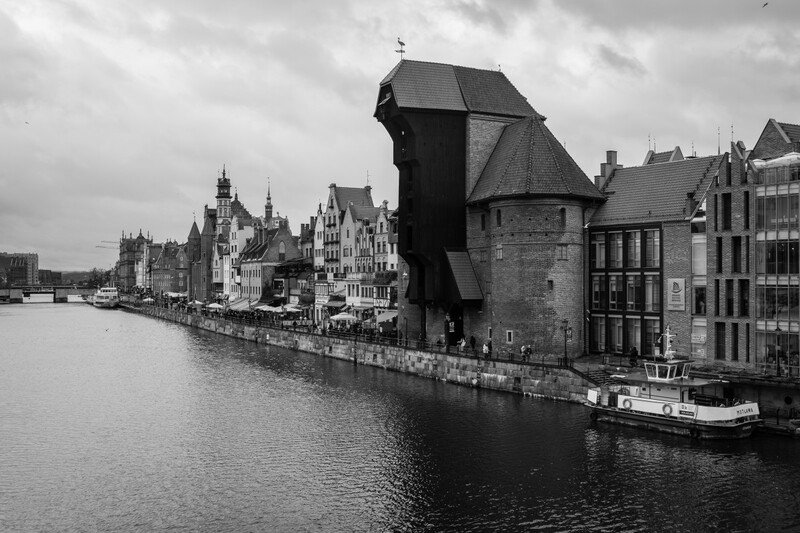 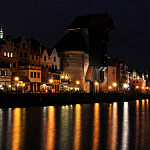 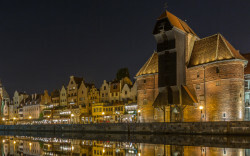 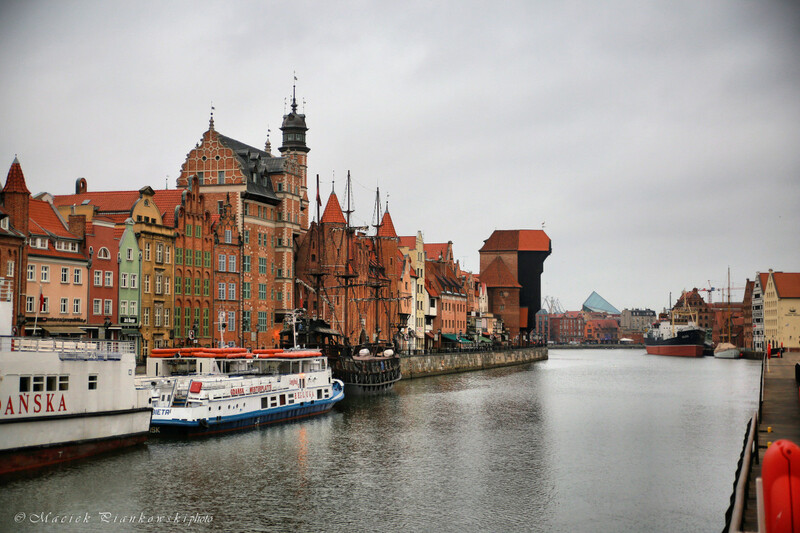 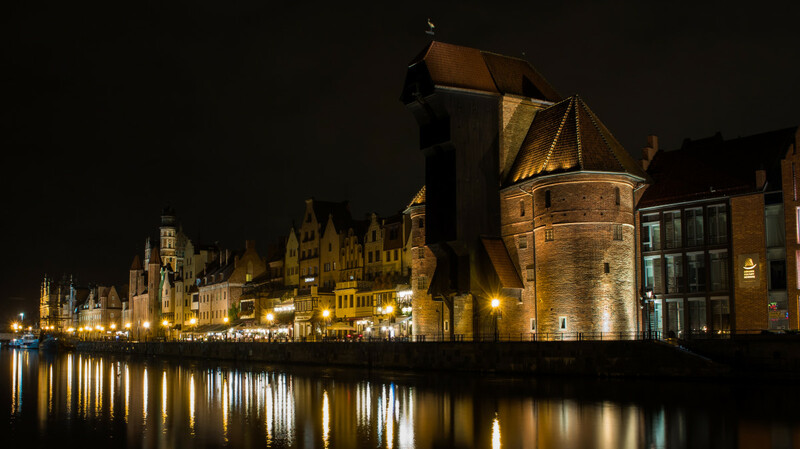 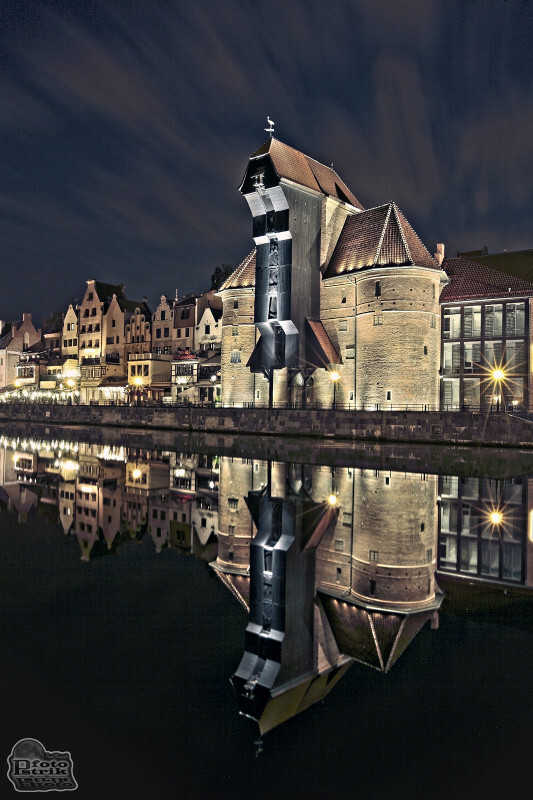 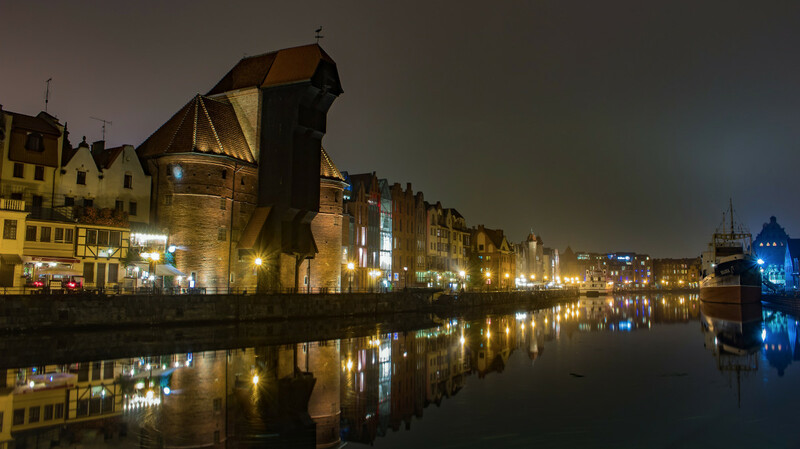 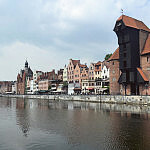 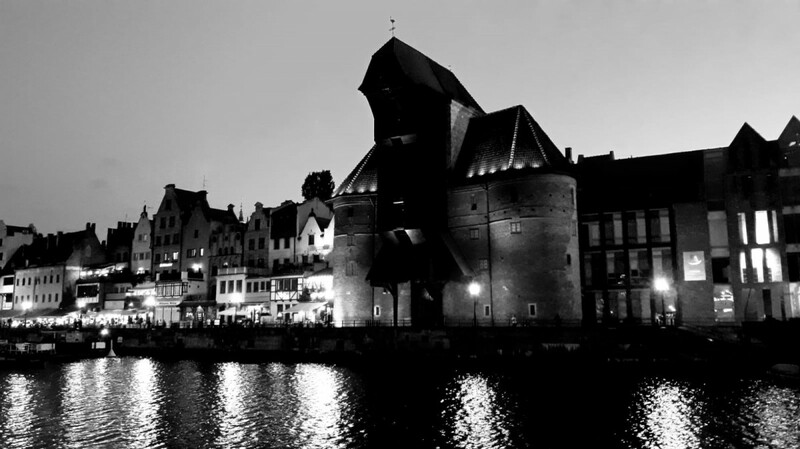 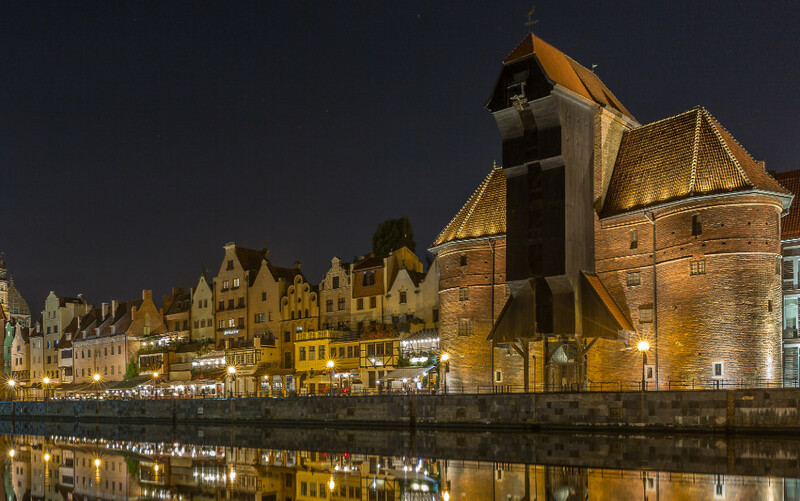 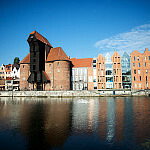 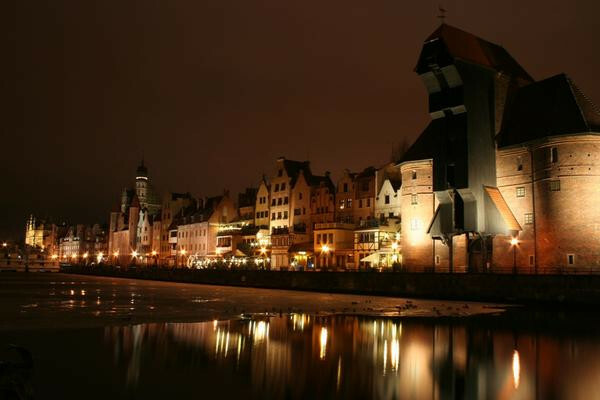 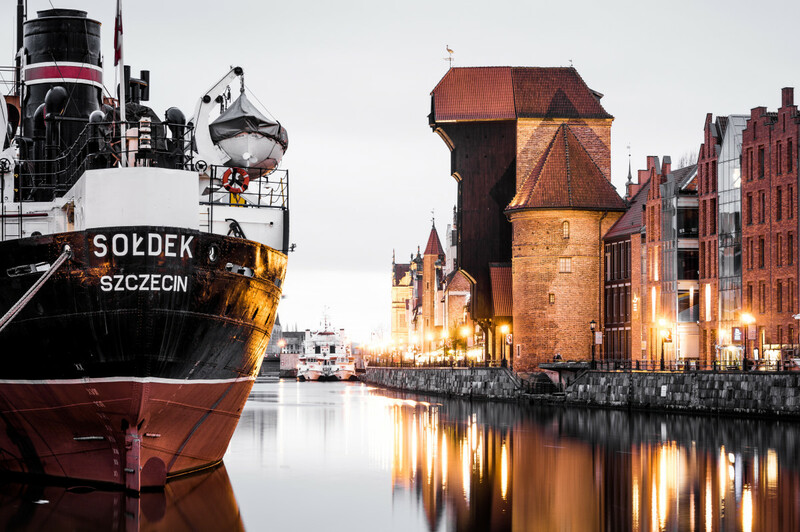 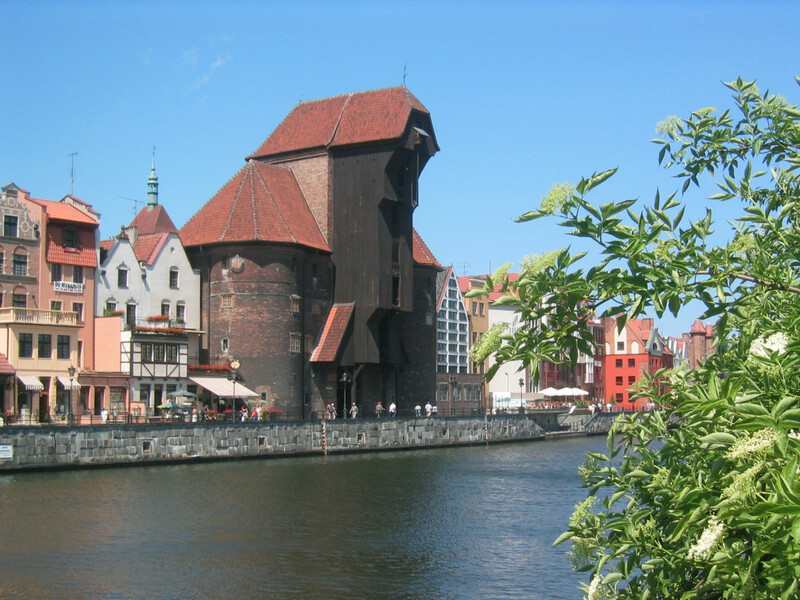 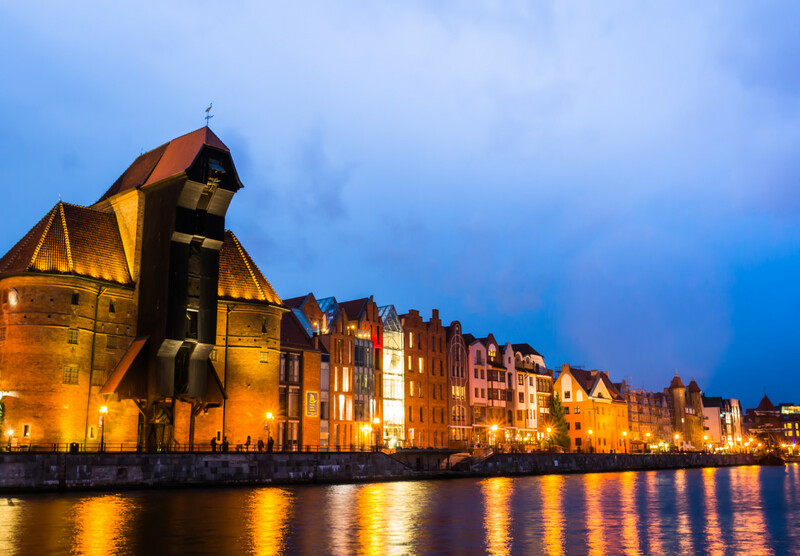 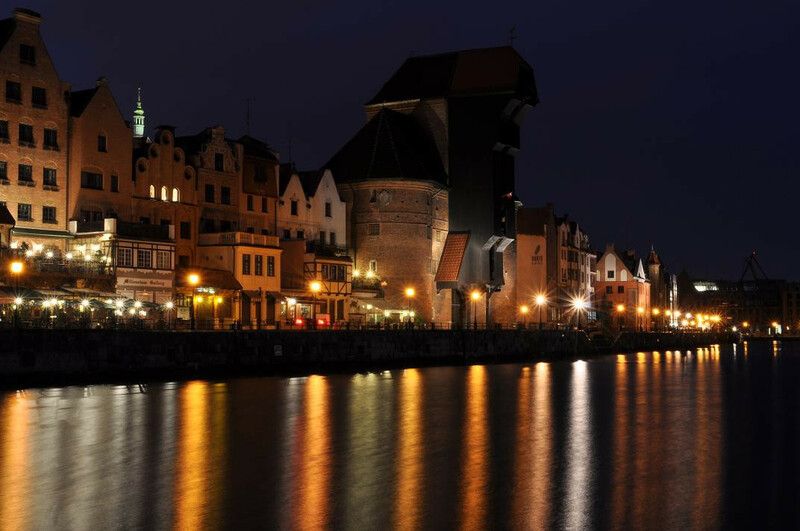 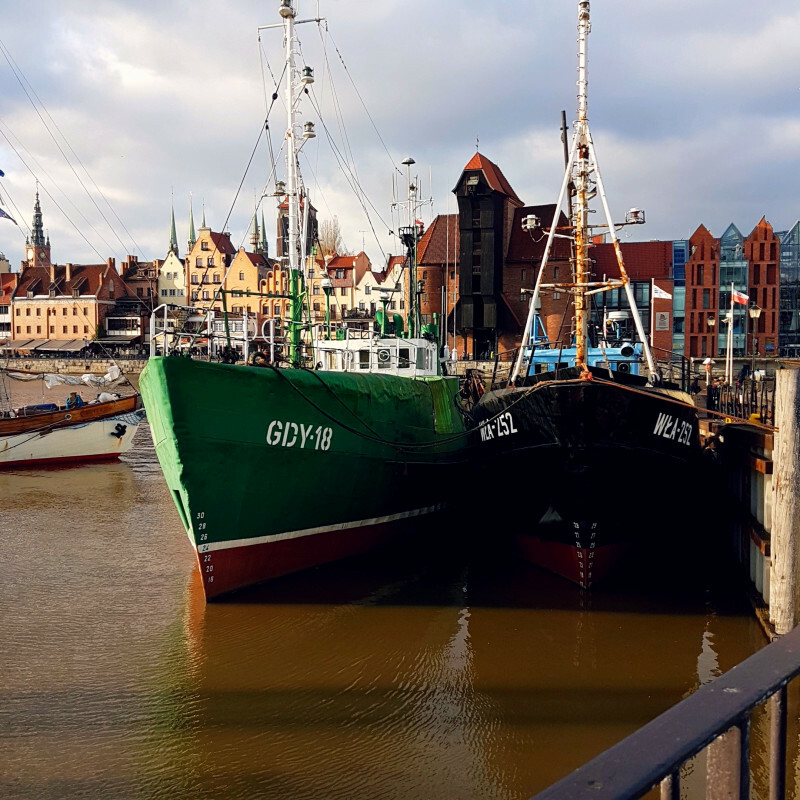 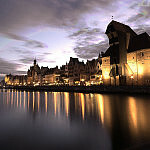 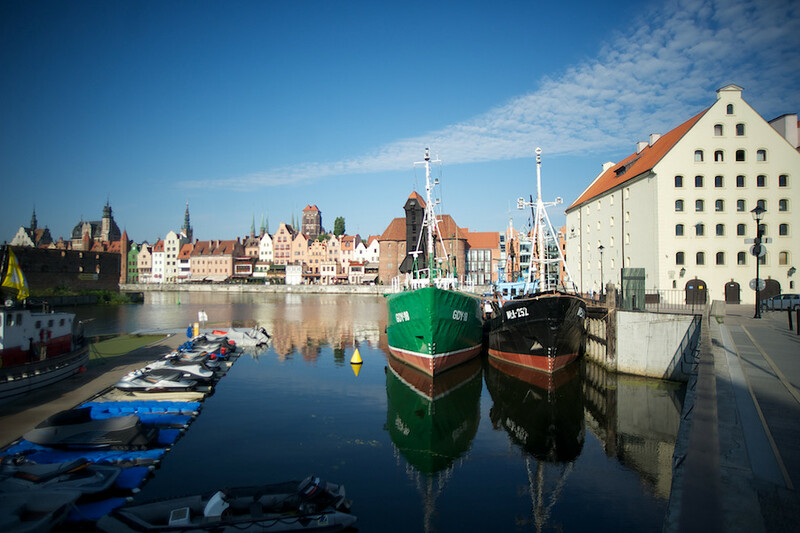 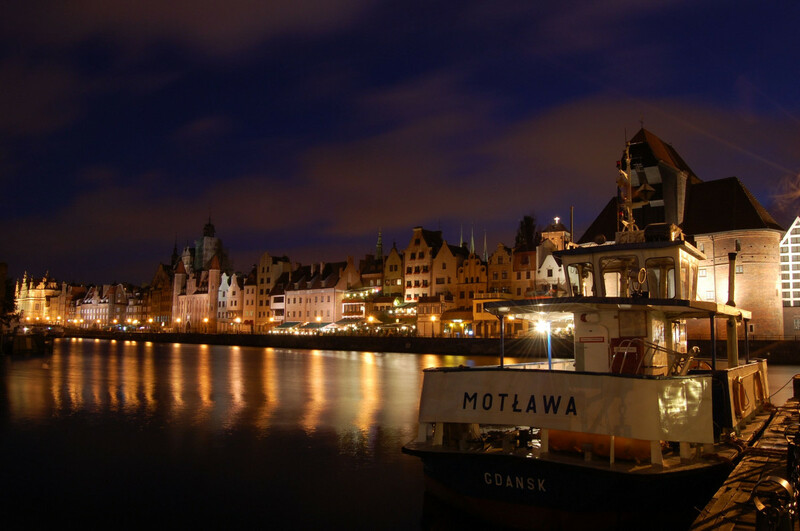 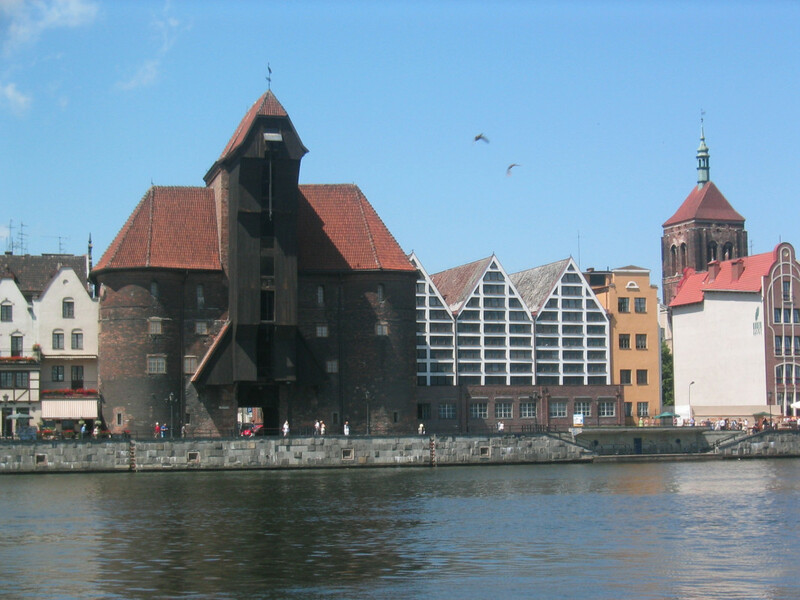 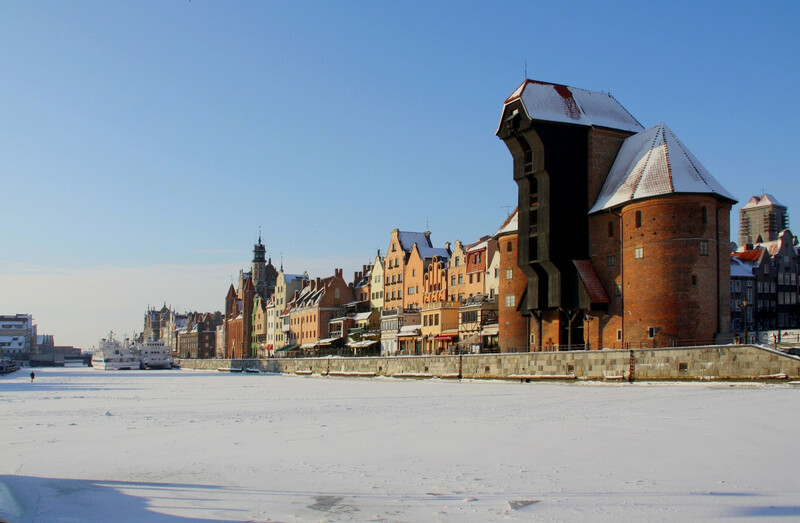 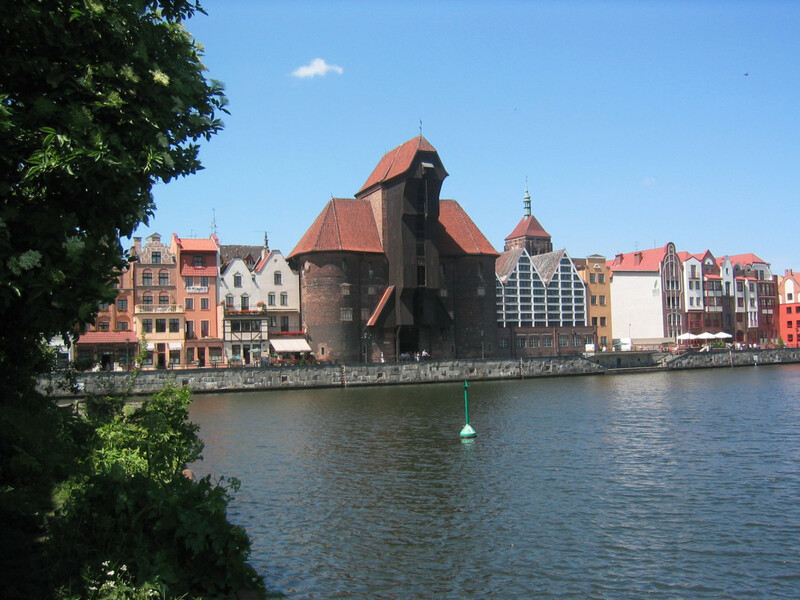 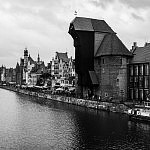 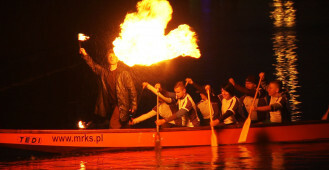 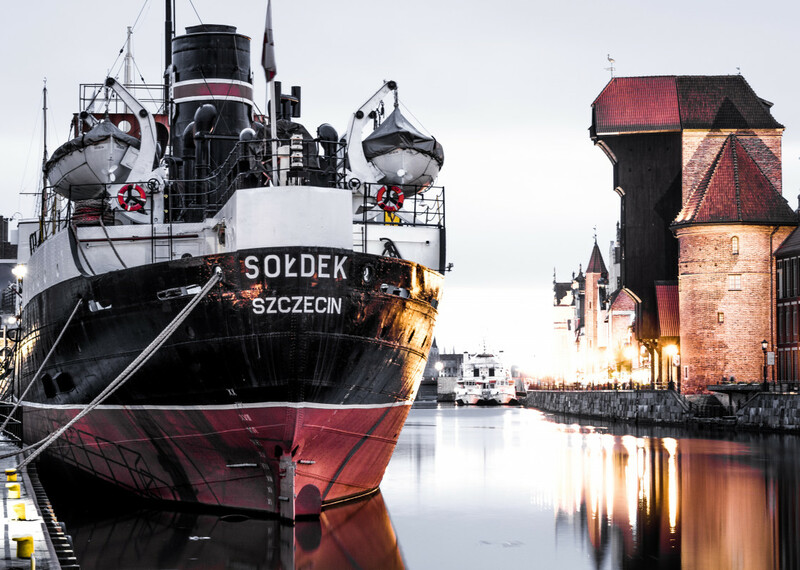 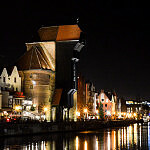 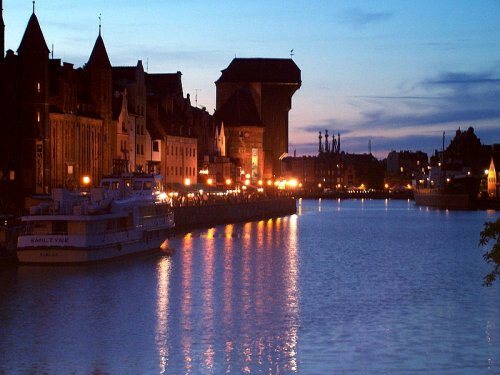 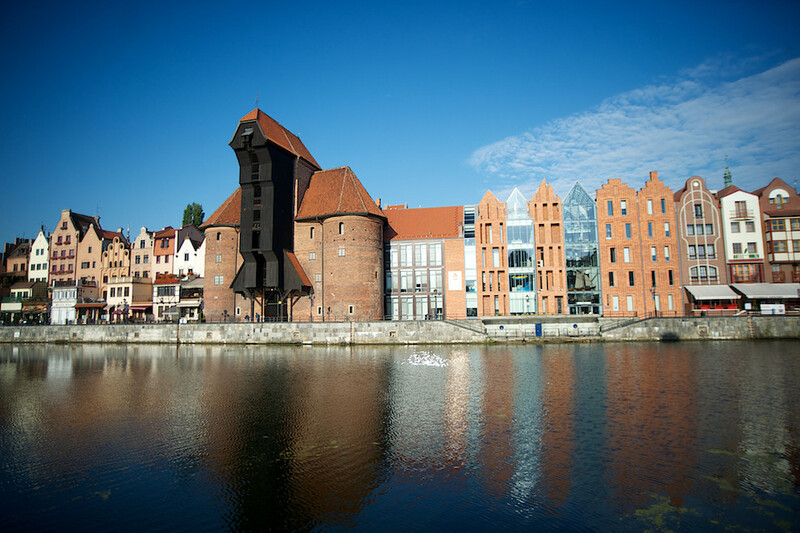 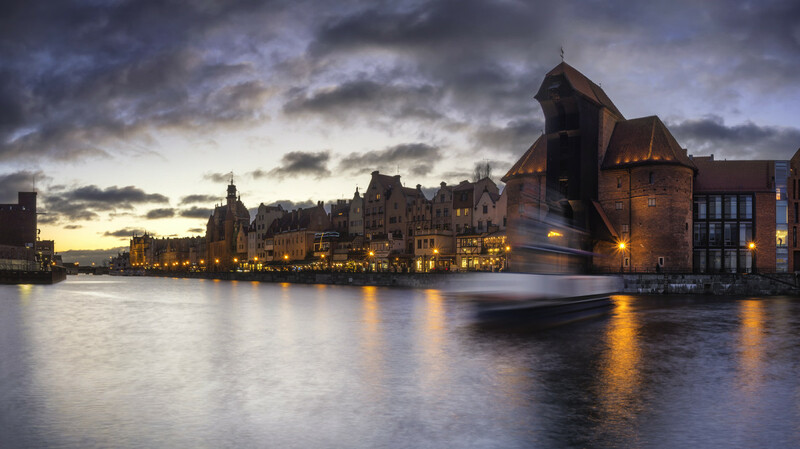 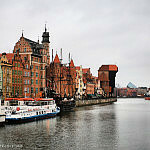 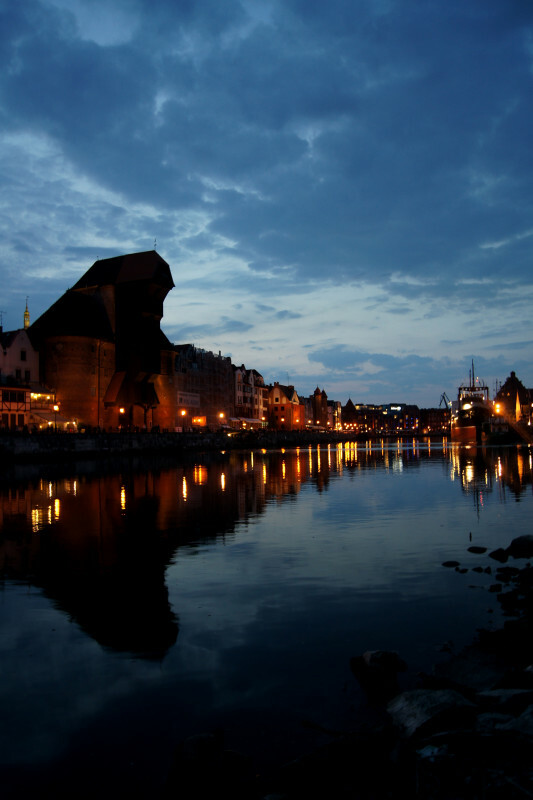 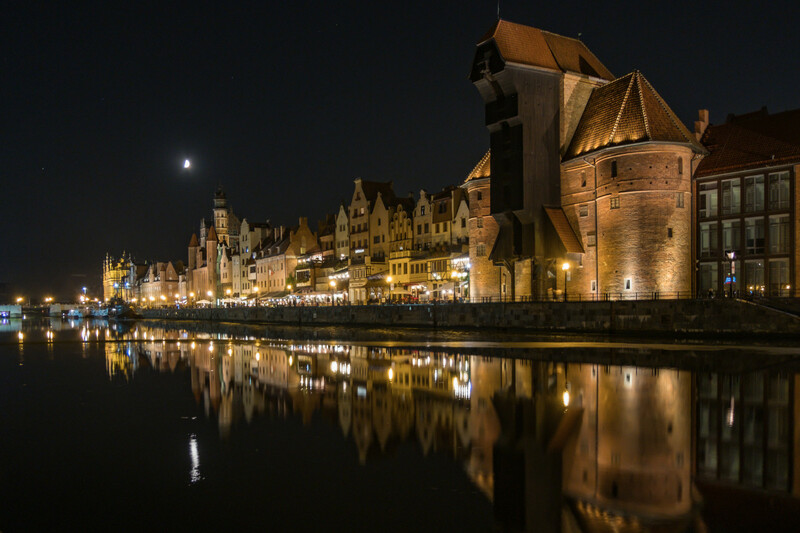 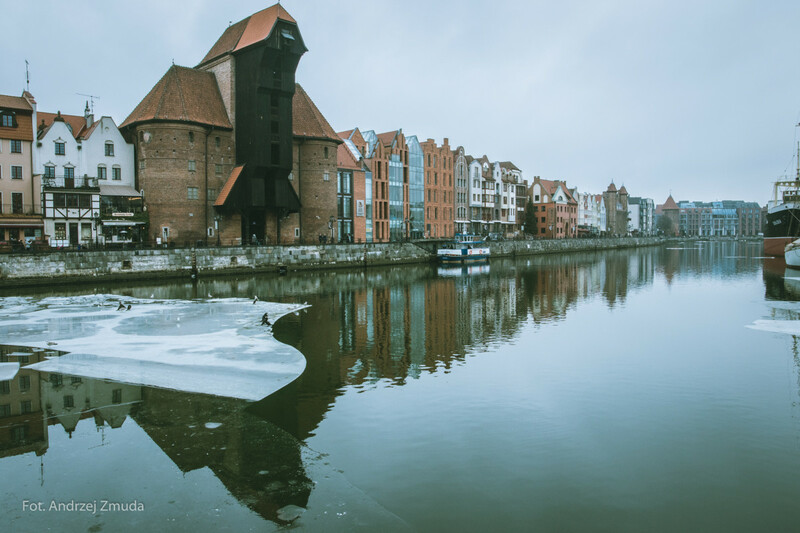 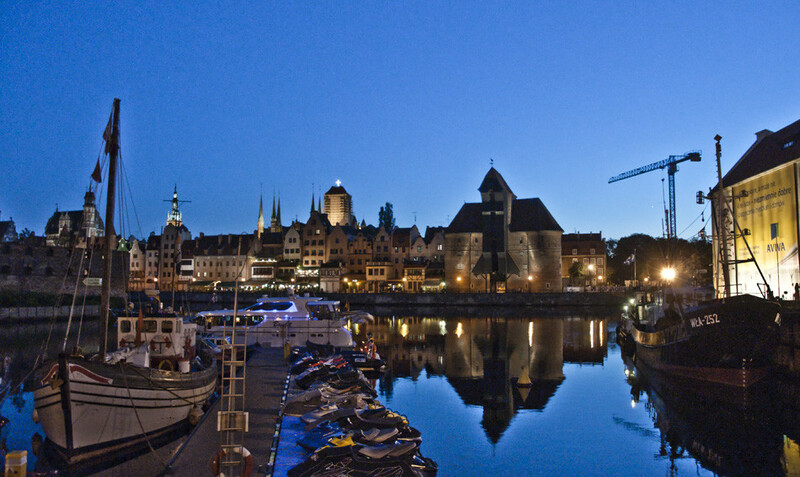 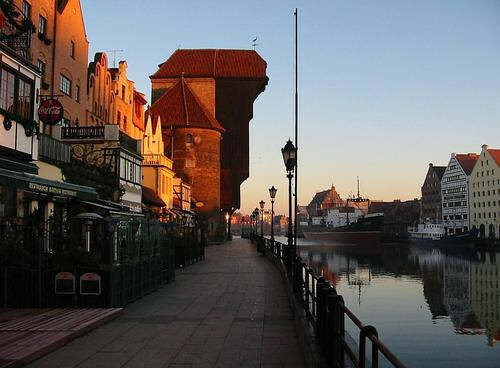 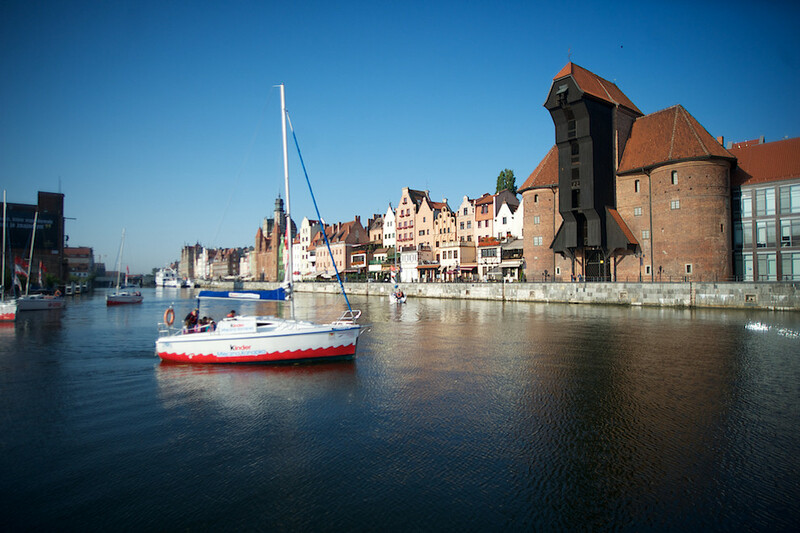 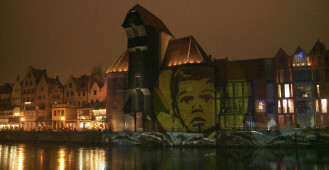 A pass entitling you to visit all CMM places in Gdansk - 18 zl full price and 10 zl discount.